Value-added products from beekeeping. Chapter 2. As can be understood from the previous discussions on viscosity, fermentation and moisture control and as will be seen in the following sections, heating of honey makes production easier in many ways. Simultaneously however, any application of heat has a negative effect on honey through the loss of thermolabile, aromatic substances, which is proportional to the temperature and duration of heating (see also section 2.7.). The basic concept therefore is to heat the honey only to the lowest temperature and for the shortest period consistent with the desired technical objective. 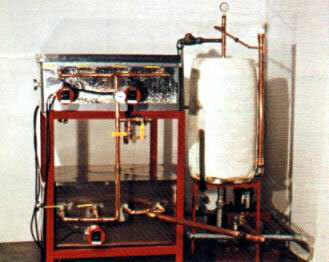 Figure 2.11 : Small to medium-scale vacuum drier for removing moisture from already extracted honey (courtesy of Dadant and Sons, Inc.). With respect for the just-mentioned effect on its quality and its peculiar physical characteristics, honey needs to be heated always with particular care. Its low thermal conductivity makes uniform heating throughout a large body of honey very difficult and the use of high temperature heat sources like open flames or a boiling water bath may quickly lead to local overheating. This may cause significant alterations of the honey's characteristics, even caramelization. When heating in industrial plants is required in order to reduce honey viscosity or melt crystals, special large surface heat exchange systems are used with a heat source only a few degrees above the temperature to which the honey is to be heated. For the melting of crystallized honeys in large containers, thermoregulated rooms or water baths are maintained at temperatures between 35 and 50° C. Some melting times for different size containers and temperatures are given in Table 2.10, but times also depend on the type of honey. For heating smaller quantities, only indirect heating through the water bath method should be used (see Figure 2.12) and the water should never be more than 5-10° C hotter than the desired temperature of the honey. It should certainly never be boiling. Appropriate cooling has to be provided afterwards, like running water through the water bath. 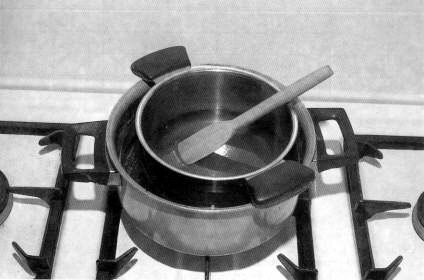 Figure 2.12 : Small-scale heating of honey in a water bath. The inside pot should not touch the bottom of the larger, water-filled pot. Wood blocks or stones may be used to support it. In large containers heating can be provided externally or internally with special heating coils through which hot water is circulated. Usually, some kind of mixing device like propellers, blades or recirculating pumps are added in order to facilitate heat exchange. In fact, in large processing plants, smaller containers are preheated in warm rooms kept at 6O~7O0. As soon as the honey softens at 35 to 400C, it drips out of the inverted containers over grids or inclined surfaces kept at 35 - 45 0C. Before reaching the high room temperature it is then pumped out of the hot room into large melting vats where the melting of crystals is completed. For smaller operations thermostatic electric heater bands are wrapped around the honey containers. Alternatively, electrically heated or hot water coils of a size adapted to the container, are set on top of the crystallized honey, slowly sinking under their own weight through the softening honey. Solar heating could be used to preheat or soften the honey to speed up the process. Even the water for the heating coils can be inexpensively heated by solar energy, since only relatively low temperatures are required. The bottle or package should be leakproof and airtight so as to safely contain the product, but also present the product in an attractive form, enticing the consumer to buy it. The label, container shape and material or other packaging material should be chosen accordingly. Labels also have to provide all legally required information and preferably a lot number to help the producer track down any problems. For discussion of special labels, packages and label printing, etc., see also section 9.9. All confections, independent of size, have to be labelled correctly, according to local laws. In addition to the legally required information, some information may be provided to the consumer on the various uses of the particular product. Though packaging does not improve the product itself, it may very well add value to the product. One such value added form consists of packaging small portions for hotels and airlines or of special gift packages with honeys of different colours and origin, or of special containers such as clay pottery (see Figure 2.13). Single portions may be packed in plastic straws (see Honeystix in Annex 2), flexible plastic bags, aluminum and plastic envelopes or inside soft plastic in the shape of animals. Multi-dose soft tubes can be sold singly or in small packages as snacks which may be carried safely to work or school, picnics, or while jogging. Figure 2.13: a) A few small honey packages for tourists or hotels, restaurants and airlines. 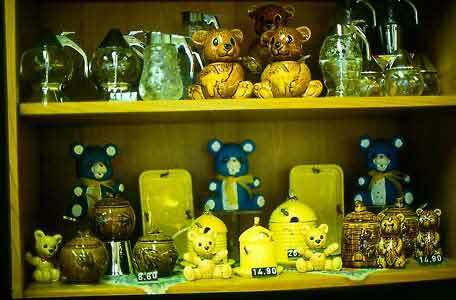 b) A display of various decorative honey containers and dispensers. For most retailing of pure honey, the preferred packing material is glass followed by plastic or, for large quantities, metal containers coated with materials appropriate for contact with acidic food. In any case, the containers have to have a secure airtight lid. Screw top lids on glass jars are the most secure. Heat-sealed plastic and aluminum lids on plastic cups are fairly safe as well. Though not as appealing as clear glass jars, transparent or semitransparent plastic containers in stackable cup or jar form are cheaper and easier to ship and store. Screw top lids on plastic jars often leak during transport and result in sticky containers, honey loss and spoilage. A more rigid container and heat-sealed inner lids or plastic films, as used on many medicine bottles could solve this problem. Waxed cartons have been abandoned because they were not safe enough. Half and one-litre flexible polyethylene bags have been used in several countries for many years. These are extremely economic to ship, but require that the consumer has a special outer container suitable for holding the honey or the honey bag. Recycled glass bottles may be appropriate if they can be cleaned adequately and a cork-type seal can be provided. Bottles which previously contained any oils, household cleaners, gasoline or any other non-food or non-drinkable liquid should never be used. If bottles are cleaned with soap they have to be rinsed many times. If water is limited, the bottles should be washed with sand and clean water without soap. Most screw tops for bottles do not close very well and ants frequently enter such bottles. Leaving wax and other hive debris in the honey to form a plug in the bottle neck appears to protect honey from aerial moisture and in some cases might even retard fermentation. It is however, not a form presentable to most urban consumers. Corks or wooden taps which do not seal hermetically need to be sealed with hot beeswax. Different honey-containing products require their own specific packaging, most of which is discussed together with the products. Package choice should however also consider recyclability, disposability and environmentally friendly manufacturing of the packing materials. Excessive packaging in many countries is not only wasteful, it also contributes to pollution and waste disposal problems. The decision about which form of presentation or packaging to choose for marketing should take into consideration the predominant local form of use, the honey characteristics (such as crystallization, fermentation and colour) the volume, the length of time between processing, retailing and consumption, the availability and cost of filling technologies and packaging materials, the potential appeal to the consumers and the environmental compatibility of materials. Storage containers for liquid or crystallized honey should be made either of glass or stainless steel or coated with food approved plastic, paint or beeswax. Nothing should be allowed to impart any odour to the honey. Particularly if used containers are recycled, care must be taken that they are absolutely clean and have not the slightest residual odour. Honey readily absorbs odours of all kinds and these can, for example, be readily absorbed by a beeswax coating and then passed into the honey. Containers previously used for toxic chemicals, oils or petroleum products should never be used for storing any bee products, even after coating with paint, plastic or beeswax. Openings in wholesale containers have to be big enough to facilitate removal even of crystallized honey. To keep moisture out, lids have to be airtight and all products should be kept away from heat and (preferably) light. Also, most products containing honey should be protected from excessive moisture by special packaging: baked products in moisture proof clear plastic bags, caramels in separate plastic or waxed paper wraps and single portions of liquid or pulverized product in laminated foil envelopes made of aluminum foil covered with plastic or plastic and paper envelopes. Storage rooms should have a temperature near 200C and a relative humidity of less than 65 %. Storage of honey at more than 25 0C causes increasing quality loss with time, due to progressive chemical and enzymatic changes. Honey is considered a stable product, in the sense that it is not spoiled by the bacteria and fungi normally responsible for food spoilage. Products containing honey however, are preferred targets for such organisms and therefore demand pasteurization (stabilization with heat) or chemical preservatives (according to product requirements) plus adequate storage and protection from recontamination after production. Proper storage and packaging together with quick marketing and consumption will reduce or eliminate the need for preservatives. Fermentation remains the major threat to unprocessed honey, whether it is liquid or crystallized. The prevention of fermentation has already been discussed in section 2.6.9. Therefore storage conditions have to prevent fermentation through either low temperature storage or by preventing further absorption of moisture. Even honeys which are not susceptible to deterioration by yeasts however, can be subject to other progressive alterations due to chemical and enzymatic action. These changes include organoleptic characteristics such as colour, taste and aroma, together with a loss of biologically active substances (inactivation of enzymatic and antimicrobial activity). Substantial changes may also occur in the sugar composition with an increase of disaccharides and other complex sugars and a corresponding decrease in simple sugars. Other transformations of the initial composition include an increase of acidity and HMF content. These changes occur in all honeys, but at different rates according to their initial composition (more moisture and a lower pH result in faster changes) and storage temperatures (higher temperatures also lead to faster change). The same changes take place even faster during (and after) the heat treatments of various processing technologies. Though damaged honey does not become dangerous to human health, it nevertheless loses some of its nutritional and organoleptic values. Therefore in almost all countries, legal limits are set for the degree of "ageing" (or deterioration) of honey for food use (see quality control section 2.8). Heat and sunlight (mostly the ultra violet (UV) spectrum) can destroy the quality of honey both in brief high exposure or in low level exposure over a long period of time. Some decay is unavoidable, but it should be kept to a minimum. UV radiation destroys glucose oxidase and thus most of the antibacterial activity. Table 2.11 lists the half-life of diastase in honey at different storage temperatures. Since it is difficult to give a precise preservation limit for honey, due to the large variability of different factors, HMF and diastase are used as indicators of damaging treatment received by a honey during either processing or storage. Decreasing half-life, i.e. faster disappearance of diastase, can therefore be equated with increasing damage to honey. However, initial diastase contents vary in different honeys and have to be known for the fresh untreated material. HMF is used more frequently as an indicator since its value is close to zero in very fresh honeys (other than a few tropical honeys) and its level increases with time and exposure to heat. EC regulations state a minimum of 8 diastase units for honey. Thus a honey initially containing 16 units can no longer be sold as food grade honey if stored for 4 years at 200C, 18 months at 250C, 7 months at 300C, 4 months at 320C etc (see Table 2.11). In view of normal production to consumption periods, a storage temperature of 200C is considered an economical compromise. In warm climates it is important to protect storage vessels from overheating and possibly cool them by special shading or ventilation. Processing, moving and selling honey have to be as fast as possible. Care also needs to be taken that the honey is not damaged by overheating during trucking (particularly during parking in direct sunlight) or while waiting for reloading in harbours or railroad yards. The same is true for small bottles of honey sold at road sides or in market stands. They should never be left in the sun. Diastase half-lives calculated for different storage temperatures (White et al., 1964). Considering the aspects of presentation of the product, maintaining its liquid or crystallized form is important (see also Figure 2.3). Only cold storage below 50C is suited to simultaneously prevent crystallization, melting of crystallized honey and fermentation. Such storage is however expensive and rarely used on a large-scale except to briefly preserve special honeys for further elaboration. Storing liquid honeys above 25 0C to prevent any crystallization can only be recommended if very quick sales are expected. A temperature of 200C was mentioned as a compromise for storage of liquid and crystallized honey. Those honey products exhibiting the same physical characteristics as natural honey need to follow the same guidelines as those for the unprocessed product. Other processed products containing honey may have individually different storage temperature requirements. The quality control of honey has two principle purposes. to verify its genuineness i.e. to reveal possible frauds such as artificial honeys, adulteration etc., and to determine its quality in respect to the needs of the processor and the market. The composition limits of the natural product are defined internationally by the Codex Alimentarius Commission (Codex Alimentarius, 1989 and 1994, see Annex 4) which also mentions the officially approved analytical methods. In many countries more restrictive laws and regulations exist to which one must refer if marketing in these countries is intended. Legal quality standards serve to protect the consumer, be it the processor or the end consumer. In many countries it is customary to call any sweet syrup "honey". Corn, cane or rice syrup and even molasses can be seen labelled as honey. Thus it may be legal to call things honey which, according to international standards, are not. It is in the interest of the local beekeepers to have laws that define honey more precisely or at least reserve the name bee's honey for a product conforming to international standards. Most simple adulterations of honey can be detected if certain characteristics exceed the legal quality standards, for example by a high sucrose content (> 8%) if simple cane or beet sugars are added, or high HMF values if acid hydrolysed corn syrup is used. The latter has fructose/glucose ratios similar to honey (HMF >200, White, 1980). If however, the high fructose corn syrup is used, which is produced by enzymatic processes and contains fructose/glucose ratios similar to honey, the detection of 13C isotopes (White and Doner, 1978) or thin-layer chromatography (White, et al., 1979) are required. This high fructose corn syrup is not yet readily available in many developing countries, however. The isotope method can detect adulteration with any kind of cane sugar or corn syrup; even in products allegedly containing honey only as a minor ingredient (Donor et al., 1979). Simple field methods for detection of adulteration without laboratory equipment are based on taste, viscosity (most adulterated honey is thinner, but so is honey with a high moisture content) or its solubility in cold water (see Figure 2.14). 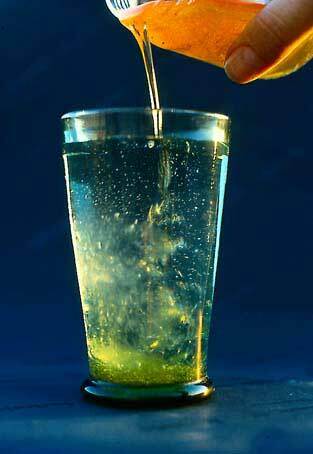 If a droplet of honey poured into cold water stays together without dissolving rapidly, it is most likely pure honey. This can be observed best against the light with a dark background. 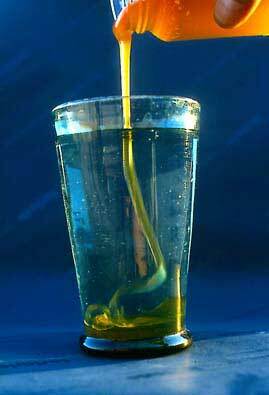 If the edges of the droplet or the thread starts dissolving during pouring, the honey is likely to have been adulterated or has a very high water content. In any case it should be kept separate from other honey until more precise tests can be carried out. For companies' internal quality control of production and processing different parameters may have to be taken into consideration, which depend on the requirements of the manufacturer. Internal standards serve to allow production control and product standardization, and to adjust production cost to various product requirements and different quality levels. These quality levels may be established internally, may be demanded by the market, or may be required by a company under whose label the product will be marketed. Since honey is included in a wide variety of products, these standards cannot be given here, but must be investigated through local authorities and industry organizations. The parameters most frequently controlled by enterprises which receive honey for further processing are the condition of containers, cleanliness, the homogeneity of the shipment, organoleptic characteristics (taste and aroma), colour, moisture content, degradation of honey measured by diastase and HMF content, composition of principal sugars and microscopic examination for the determination of botanical and geographical origin. Depending on the needs of the manufacturer, some or all of these characteristics are controlled. Large enterprises have their own laboratories while smaller manufacturers can only perform simple measurements themselves such as colour, taste and moisture determinations and have to rely on outside laboratories for more detailed analysis. Table 2.12 shows an outline of controls adopted by some European honey processors. Other parameters not mentioned in this table, such as the microbiological control of honeys destined for use in dairy products or the identification of residues of noxious contaminants such as pesticides and bee drugs are rarely controlled. Figure 2.14 : A simple field test for adulteration of honey. a) Pure honey pours and settles without readily dissolving. 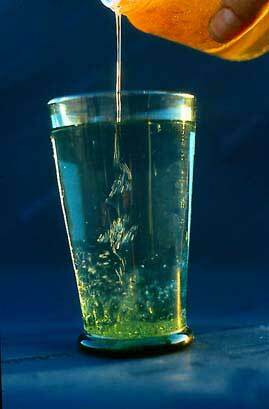 b) and c) honey mixed homogeneously with equal amounts of a 70% sugar syrup (sucrose) does not pour as straight and creates turbulence and turbidity almost instantly, but particularly after pouring a greater quantity or slightly disturbing the water. The honey syrup settles irregularly at the bottom. 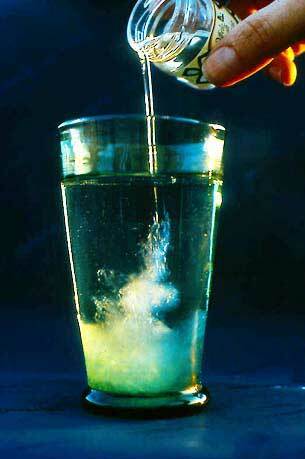 d) 70% sugar syrup (sucrose) only; turbidity is even stronger and no distinct settlement at the bottom occurs. White et al., (1988) described relatively simple laboratory techniques and set-ups for basic quality testing of honey to determine adulteration and degeneration. Bianchi (1991, in Spanish) in an FAO bulletin describes even simpler methods. The extract of the Codex Alimentarius in Annex 4 describes the official laboratory procedures for honey quality tests. Any control should always include verification of the proper functioning of the processing techniques and of the finished products, i.e. the consistency of characteristics important for the presentation such as colour, appearance, physical consistency, taste and aroma. Of course, each honey containing product has its own set of production and legal quality standards which need to be observed. A sample of each processing batch should be retained under normal distribution and storage conditions, in order to monitor product shelf-life. It is advisable that all processed products containing honey for which formulations and processes have been newly adjusted, are run through a small test (pilot production) to verify the acceptability of the product and the preservation characteristics and to reduce cost of unforeseen problems. Also in this case, the preservation of a sample of the product is good practice. Particularly during such trials and test runs, it is important to keep precise notes of all production parameters, even those that seem unimportant. This will be very helpful if some problems have to be corrected. During actual production, lot numbers on labels will be helpful in tracking down problems even if not required by law. Honeys of some flowering species are reported in the literature as toxic (White, 1975c and Kerkvliet, 1981) because of their content of active ingredients from nectars or honeydews which are noxious or toxic to humans. Although these honeys are not very common, they can be of particular importance in some localities. The plant families and genera from which a few species have been reported to produce toxic honeys include Ericaceae (Rhododendron, Azalea, Arbutus, Andromeda, and Kalmia); Solanaceae (Datura, Hyoscyamus, and Atropa; Compositae (Senecio jacobaea or ragwort); Lagnonaceae (Gelseminum); Ranunculaceae (Aconitum), some species of the genus Euphorbia in South Africa and the honeydew of Coriaria arborea from New Zealand (Crane, 1990). Bitter and off-flavoured honeys are produced from many more species. Data about world-wide honey production are published every year by FAO. In 1991, world production reached almost 1,200,000 tonnes. The increased production in the last 20 years, despite fluctuations in individual regions and countries (both industrialized and non-industrialized) is accredited to an increase in the number of hives and production per colony. The major producers are Russia, China, USA, Mexico, Argentina, Canada, Brazil and Australia. The major exporters are China, Mexico and Argentina, but the highest colony yields are recorded in Australia and Canada which have a favourable environment as well as highly developed colony management. The major consumers and importers are the industrialized countries led by Germany, Japan, USA and UK. The increased consumption over the last few years can be attributed to the general increase in living standards and a higher interest in natural and health products. Western Europe as a whole imported approximately 140,000 tonnes which is about 55 % of consumption. The average EU per capita consumption of 600 g per year varies widely amongst individual nations, from Greece with 300 g per capita to Germany with 1,800 g per capita. The international market usually trades honey in 300 kg metal drums and only a very small percentage of the market is traded in retail containers. The latter is mostly between neighbouring countries and within Europe, but also to the Near East and other small markets which do not justify proper bottling facilities for importers. Creamed honey from Canada is an exception with its worldwide distribution, and so is the still very limited exportation of bottled honey from Argentina to Spain. International prices depend, as with any other commodity, on supply and demand. During the first half of the 1970's prices increased markedly (tripling between 1970 and 1974 with increasing demand) but declined rapidly in the years immediately following. In the last 20 years however, the price has remained basically within the same range of slightly less than US$1/kg for light to extra light amber honey without any defects. Price fluctuations were influenced by market variations in producer as well as consumer nations and of course by currency fluctuations. The quality of the honey in general determines the price class, e.g. table grade (US grade A) or industrial grade (US grade C or D). Such parameters as moisture content, cleanliness, off-flavours and homogeneity are major considerations. Some importers require extra low HMF values for prime grades, but colour though not a quality, determines the final price once the minimum quality requirements within each grade are fulfilled. In general, light-coloured honeys bring the highest price and dark ones are most frequently used for industrial production. Mild flavoured honeys are preferred, but characteristically flavoured honeys bring top prices in some countries. Large honey packers usually prefer honeys with a low tendency to crystallize. 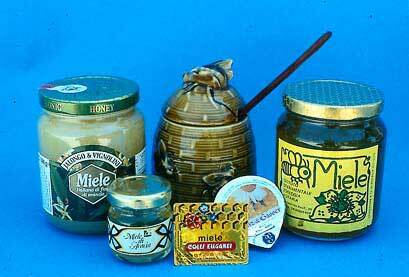 Some unifloral honeys such as Hungarian Black Locust honey bring twice the price of regular, multifloral honey. Small shipments into Switzerland of unifloral honeys such as lavender honey, in most cases already bottled, bring much higher prices. Local prices in most developing countries are higher than the international market prices and prices in neighbouring countries with less honey production or favourable exchange rates may sometimes be quite attractive. Consumption of honey may increase further, particularly in some Asian and Latin American countries, and there is a large production potential still unexploited, but international prices are below production costs in many countries. Therefore, rationalization, product specialization and local marketing are extremely important before international markets can be approached. Almost 20 years ago, industrial consumption of honey was only 5 to 15% of total honey consumption (UNCTADIGATT, 1977). This proportion has increased in the meantime and is expected to continue increasing, considering the advantageous consumer appeal of products with honey as an ingredient. Unfortunately, this section of the honey market still represents the lower priced end of the spectrum, yet will require more product uniformity i.e. processing, in the future. The retail market for honey products has very different conditions and depends much more on the economic, cultural and social conditions of each community or country. Also, a product refused in one region may still enjoy special appreciation and market value in another. This is also true for unprocessed honeys. In countries with a well developed honey consumption, product diversity is increasing on the basis of different product qualities and characteristics. In addition to the traditional liquid and crystallized honeys of different colours, diversification based on taste and botanical or geographic origin is slowly increasing. Unifloral honeys are increasingly requested and appreciated, despite their higher prices. Multifloral honeys from certain geographic regions are also increasingly popular and appreciated by local consumers or tourists. Occasionally, some honeys become known outside their local or national markets such as Canadian clover honey in Europe or Zambian forest honey in the UK. If, for industrial use, standardization becomes more important, i.e. the same uniform characteristics in every batch, the blending of different honeys will become unavoidable. For direct marketing and for more sophisticated (appreciative) markets, the selection and distinction of particular products is the more likely and more remunerative way to achieve market expansion. There are no separate market statistics on products containing honey or on special (unifloral or creamed) honeys. Their markets are very local, except for cosmetics, snack bars and in the future, beverages. Other exceptions may be specialized honeys like unifloral honeys, those from certain forest types or those produced in regions which are guaranteed to be uncontaminated. Occasionally other products may find a market niche among exports, but processed products for sophisticated markets face extremely high quality demands and competition. Expansion of markets with honey-containing products should be considered on a national level or for across-the-border trade. Consumer education and of course, spending power will probably be the most important factors influencing the possibility of expanding local markets or for increased product diversity. The examples given in this chapter might serve as ideas for possible modification and adaptation to individual circumstances. In the foregoing pages the honey referred to was always from Apis mellifera, the European, African and Near East honeybee species which has now spread all around the world. This honey is undoubtedly the most widely collected, but regionally there are honeys made by other bee species which are sometimes collected in considerable quantities. The other Asian Apis species make a honey very similar in composition and taste to A. mellifera honey. Honeys from non-stinging social bees (Meliponini) are generally more liquid and vary widely in flavour. Apis cerana can be raised in hives like some of the tropical A. mellifera species. It was the only manageable species in most of Asia until the introduction of European bees in many parts of Asia. Honey yields from A cerana are very small in tropical regions (3-10 kg per colony) and only slightly larger in more temperate climates (up to 25 kg per colony, with occasional exceptions). Insufficient scientific data are available to define quality standards as for A. mellifera honey. In an experimental comparison by Vorwohl (1968) ~A. cerana honey was basically distinguished from A. mellifera honey by a lower diastase and higher water content. Amino acid contents were also different and sometimes exceptionally high acidity values were recorded (Persano, personal communication). Honeys from the other two Apis species, A. dorsata and A. florea are only collected from wild colonies and less frequently from A. florea, probably because of its much smaller nest size and yield. Nothing is known about the honeys of the more recently described Asian Apis species A. andreniformis, A. laboriosa and A. koschevnikovi. These species are similar to A. florea, A. dorsata and A. cerana respectively and their honeys, collected in the same way as the ones of their "sister~' species, are therefore likely to be very similar as well. Social, stingless bees (Meliponini) store honey in special honey pots rather than combs (see Figure 2.15). Their honey is either robbed from wild nests or, with some of the more prolific species, from specially provided nest sites (boxes). The Inca and Maya cultures of South and Central America are said to have had flourishing beekeeping activities with Meliponini species. The honeys, often very different from species to species, have a much higher water content, are more acidic and have a stronger bacteriostatic (inhibitory) effect than A. mellifera honey and contain no diastase (Persano, personal communication; Cortopassi-Laurino and Gelli, 1991). They were locally appreciated for their therapeutic activities, similar to that of honeybee honey. Their topical use in eye cataracts and other corneal afflictions is widely known. Other insects which store sweet reserves and are occasionally robbed by man are some bumble bee (Bombus) and social wasp species (Nectarina and Polybia). 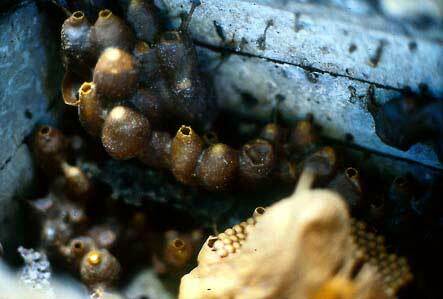 stingless bee nest in South America. The following honey recipes have been chosen as examples of the many product possibilities in different fields. Almost all can be used as a base for numerous variations suggested by the availability of particular ingredients, by the needs and preferences of the market, together with the distribution, taste, customs, habits, needs and economic abilities of the final customer. Other suggestions can be found in section 2.5. The suggested recipes and described uses cover several trades and industries. They therefore cannot cover in-depth all aspects, such as general, legal, technical or economical considerations, or the best manufacturing techniques of specific products. In many cases, like industrial bakery or medicinal preparations, the manufacturer has to have specific skills which cannot be transmitted in this publication. Nevertheless, those recipes that are presented should allow good quality production at least on an artisanal and small to medium scale of production. It would be appreciated by the local beekeeping industry if larger food producers could take some of the product ideas and develop their own product formulations using local beekeeping products. For any specific industrial or semi-industrial production problems or formulation possibilities, enquiries can be directed to the National Honey Board of the USA, a non-government organization financed mainly by and for the U.S. honey industry. For practical purposes, the descriptions of processing and preparing liquid, creamed, section, comb and chunk honey are included in this recipe section. No economical consideration has influenced the choice of recipes, but solely the usefulness of the product type for artisanal, small or medium scale production.